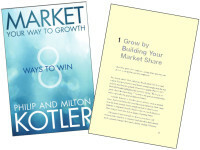 Milton Kotler has over forty years of professional experience in marketing strategy and management. 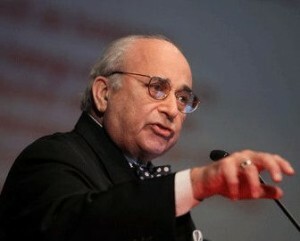 He is Founder and Chairman of Kotler Marketing Group USA (KMG, Inc. –founder in 1984: (www.kotlermarketing.com), headquartered in Washington DC, and Chairman of Kotler Marketing China (www.kotler.com.cn), with offices in Beijing, Shanghai and Shenzhen..
KMG USA conducts projects in marketing strategy and organization; brand management; and pricing, product development, distribution and pricing analysis and tactics. Our clients include Fortune 500 companies. KMG China has been registered and operating in China for twelve years, with offices Beijing, Shenzhen and Shanghai and a staff of 50 FTEs who provide strategic marketing planning to Chinese companies and strategic urban and industrial planning for local governments and major property developers. Chinese clients include AVIC, Bank of China, Sany, Great Wall Property, Ping An Insurance, Merchant Group and China Resources Corporation and many other major State-owned and private Chinese companies. KMG China. 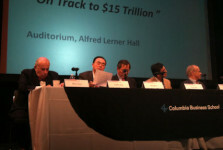 In 2011, KMG was ranked the #$1 marketing strategic consultancy in China. 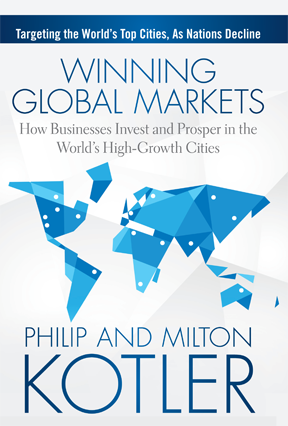 Milton Kotler is an economic advisor to the Mayors of Xian, Dalian and Harbin and Zhengzhou. 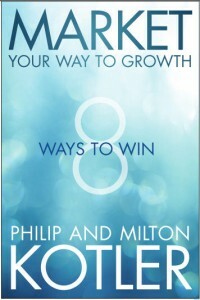 He has delivered public seminars in over 100 Chinese cities and is author of A Clear-Sighted View of Chinese Business Strategy, Renmin University Press, Beijing; 2003 and co-author with Philip Kotler of Market Your Way to Growth: 8 Ways to Win, Wiley, 2013. He is a frequent contributor to Chinese business newspapers and magazines, and is a frequent guest on CCTV. He is a graduate of the University of Chicago and resides in Washington and Beijing..
Visit Milton Kotler’s China marketing blog.